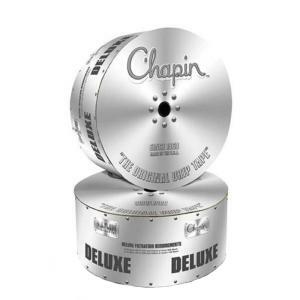 For over 50 years Chapin Tape has been a leader in the drip tape industry. Chapin Tape offers the largest flow path, best Cvs and greatest strength in any wall thickness of tape. Chapin offers a wide selection of flow rates, wall thicknesses and inlet filtration options to meet all your needs. Their exclusive continuous filtration channel keeps the debris away from the flow path and allows it to purge by flushing, ensuring high performance and extending the life of the tape.